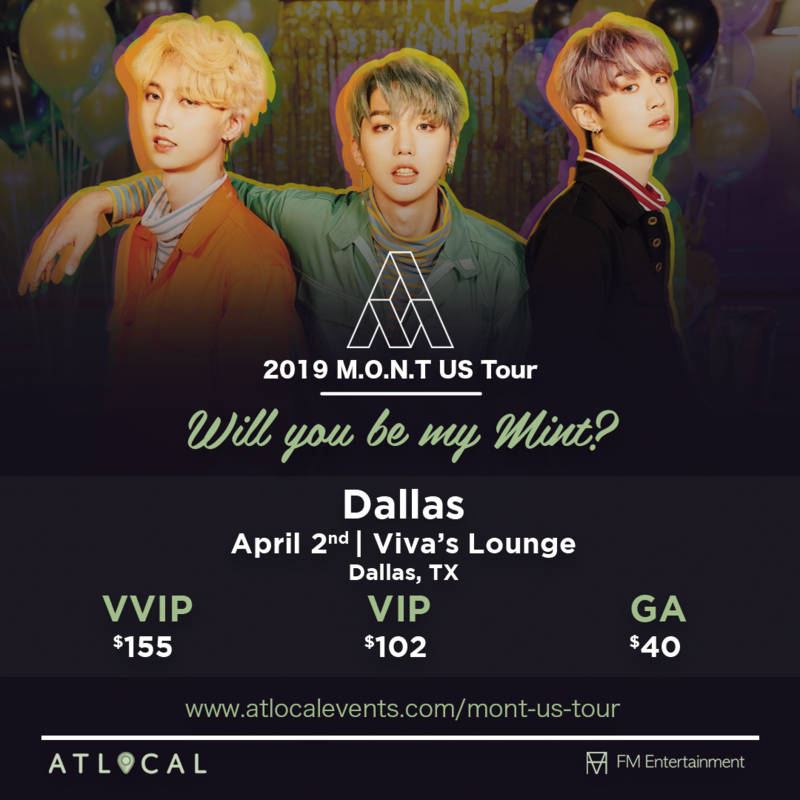 DALLASGet Free K-POP Group M.O.N.T Tickets! 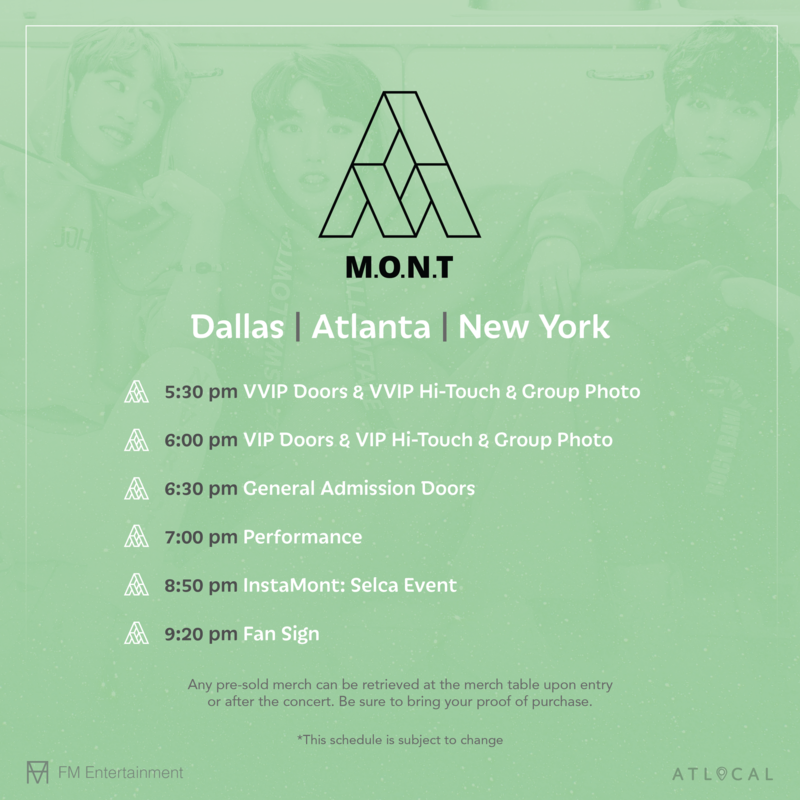 We are honored to sponsor K-POP group M.O.N.T that’s performing on April 2 for US tour!! We are giving away 10 free VIP and 10 GA tickets by raffle. We will announce the first 5 VIP n GA on the 23rd and rest on the 30th.